It’s not a national holiday yet, but National Trail Mix Day (August 31) is reason to rejoice. CLIF wants to help you celebrate with a sweet and salty giveaway of CLIF MOJO bars. "Whether you’re summiting a mountain or a pile of papers on your desk, this trail friendly bar is full of crunchy nuts, plump raisins and a sprinkling of chocolate chips to get you to the top." And MOJO satisfies cravings with 8-9 grams of great-tasting protein plus no trans fats or processed sugars. For more information, visit the CLIF Bar and Company website, check out their Facebook page, and follow on Twitter. simply leave a comment below stating so. For an extra entry, tell me your favorite CLIF bar flavor. 5 winners will be chosen randomly on Friday, August 31st. i would love to try these bars! I tired the mojo peanut butter and fell in love with it - i would love to try more! 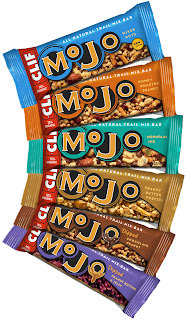 Have not tried the Mojo bars yet, but would love to. My favs are the Gary Panforte Clif bars and the Spiced Pumpkin Clif bars! I love Cliff bars, so count me in! My favorite flavor (of regular bars) is the chocolate mint! Yum! Yes please enter me! Not trying to copy Miss Zippy, but I love chocolate mint too! I love Clif bars and eat one every day after my work out. They are the best! I haven't had the Mojo bars yet tho. My favorite is the white chocolate macadamia nut. Chocolate Almond Coconut? Oh yes, please! I would love to win this prize package. Thanks for hosting! I really the kids Zbars in any flavor. Thanks for the giveaway! I would love to win. I am happy to hear Trail Day is next Friday, when I have a 20 miler planned... I will have to take it to the trails! I would love to try these. My favorite original bar is the oatmeal raisin one. Yum! My favorite Clifs are the chocolate mint builder bars. My favorite Clif Bar flavor is Crunchy Peanut Butter. I'm completely addicted. 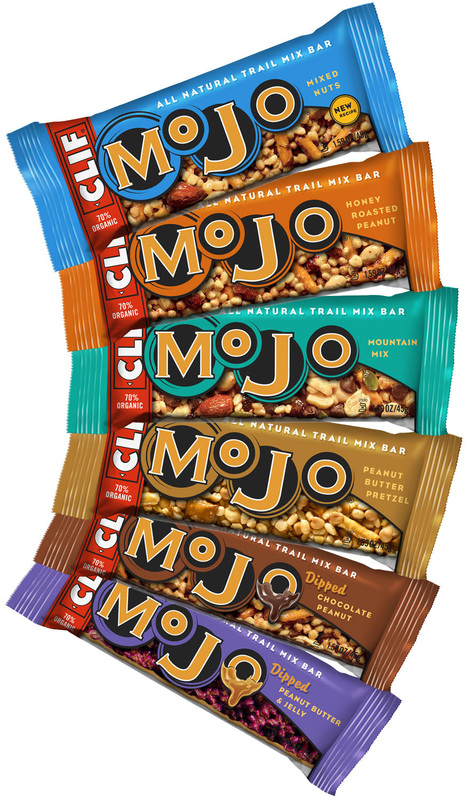 Haven't tried the MoJo bars yet but if they have a peanut butter / chocolate, I'd be a fan for sure. My favorite CLIF bar flavor is Peanut Butter Pretzel!!! MMMM!!! Heck yeah I want one of the Clif Bar Prize packs! I like the original bar in the White Chocolate Macadamia Nut flavor. I love the Macadamia Nut flavor! I'd love to win Clif bars!! If I had to choose, I'd probably go with Chocolate Mint! Awesome giveaway! I love the white chocolate macadamia nut!! I usually have one of your bars after my workouts. My favorite is chocolate mint, but I've been enjoying the vanilla almond one lately, too!!! Yum! I want to win!! My fave clif bar flavor (my "flave"??) is chocolate brownie! I would love to win!! My favorite is peanut butter pretzel! !